There is nothing the air fryer can't do and I am amazed. If you're in love with fried food but have never heard of an air fryer, you may not believe what I am about to tell you. You can fry food, with air, and without any oil. 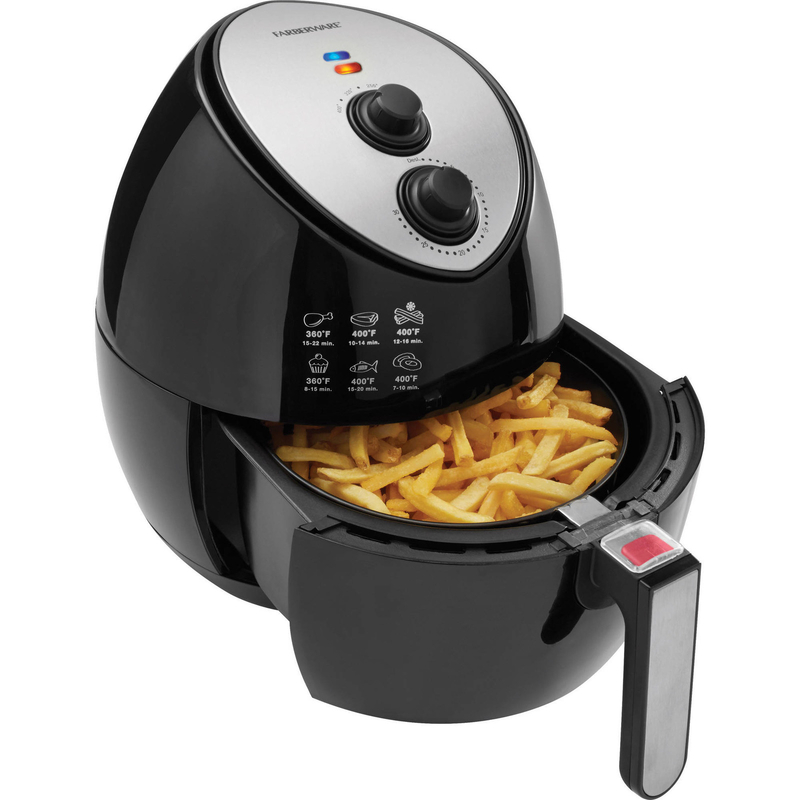 Air fryers work by circulating hot air around the food using a convection mechanism (a fan circulates the air around the food at a v high speed), which not only cooks your food and cooks it faster than a ~regular~ oven, it also gives your food that delicious crisp all fried food should have. Soo basically, magic. 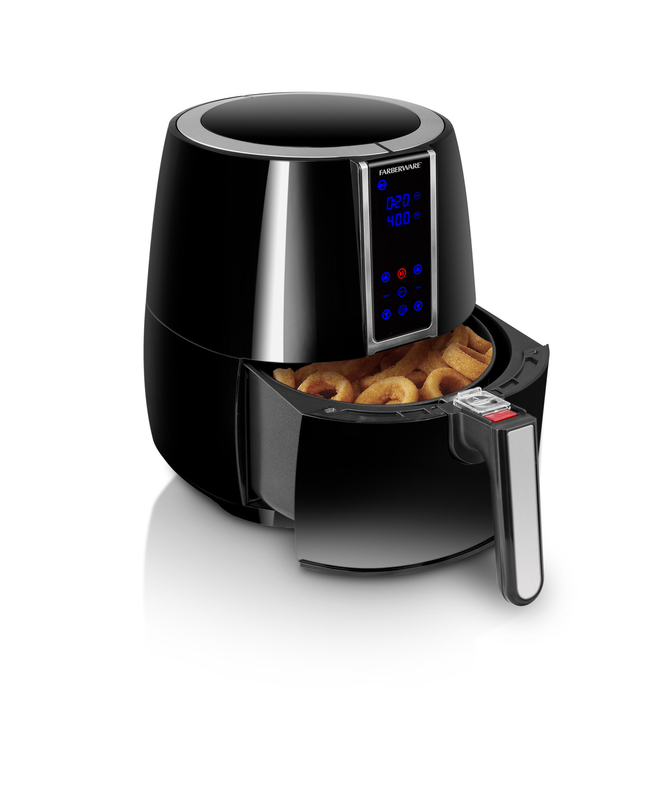 Learn more about how air fryers work from Air Fryer Review on Youtube. If you're in need of a magical air fryer to cook up crispy food as quickly as possible, try a digital air fryer or a good ol' standard one. Get them from Walmart: the 3.2 quart digital air fryer for $49+ (available in two colors) or the 3.2 quart air fryer for $79.88. If you already have an air fryer, you know it is a frying, baking, grilling and roasting machine – it can do almost everything. 1. A Sriracha-honey chicken wing recipe that'll curb your fifty cent wing addiction, or at least bring it home. Sweet, spicy, and everything a chicken wing should be. Get the full recipe from Karen's Kitchen Stories. 2. A fried fish sandwich so you can enjoy finger lickin' good fish without all the grease. Served with creme fraiche green pea sauce, yummo. Get the full recipe from My Fussy Eater. 3. A flavorful elote recipe to serve with that fish sandwich – it cooks in just 15 minutes! Get the full recipe from Add A Pinch. 4. An avocado fry recipe with lime dipping sauce worthy of all avocado lovers. 5. An air fried burger that'll prove every home needs an air fryer, not an oven. Is there anything the air fryer can't do?!?!? Get the full recipe from Recipe This. 6. And air fried fries for anyone who has a big need for these crispy, salty, perfectly-cooked babes. Apparently I need to get an air fryer so I can eat all the fries without going over my budget 👀. Get the full recipe from Stay Snatched. 7. An easy omelette recipe meant to be with you and your air fryer every morning, because good food is the best reason to get out of bed. Get the full recipe from Bitzngiggles. 8. A buffalo cauliflower dish so you can air fry this delectable vegetable into your life ASAP. Hi get in my belly! Get the full recipe from Glue And Glitter. 9. A chicken cheese and pepper quesadilla that'll basically cook itself in under 15 minutes. Make a similar chicken cheese quesadilla to the one pictured above in your air fryer with a recipe from Air Frying on YouTube. 10. A lemon pepper chicken meal to feed the whole family, or take care of lunch all week! 11. A gluten-free air-fried wonton you just may need to make over and over again. 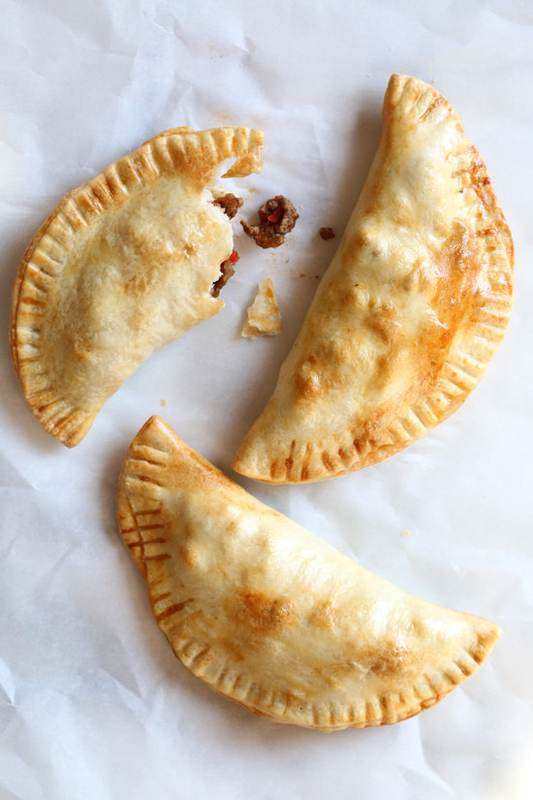 Stuffed with ground meat of your choice, ginger, scallions, and more. Get the full recipe from Gluten Free On A Shoestring. 12. A parmesan fried pickle chip that'll put the "we can fry anything" state fair booth to shame. Get the full recipe from The Creative Bite. 13. A flourless chicken recipe so you can blow your gluten-free dinner guests away. 14. 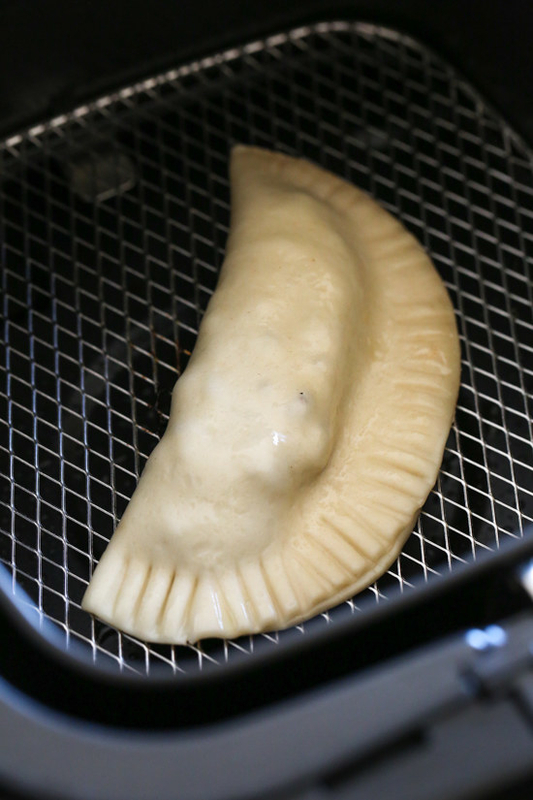 An air fryer beef empanada for anyone who knows the best fried food is golden crispy brown – this won't disappoint! These look just as good as deep fried! 15. A sweet and spicy take on sweet potato fries I need to try right now, as will you. Get the full recipe from Kalyns Kitchen. 16. A chicken fried rice recipe as a gift to our mouths we might not deserve. Get the full recipe from Val's Kitchen. 17. An air-fried version of crispy Brussels sprouts guaranteed to satisfy any Brussels sprout lover (me). 18. And a fried banana spilt sundae for anyone ready to lose their manners over decadent fried ~nanners~. Get the full recipe from Momma Told Me.